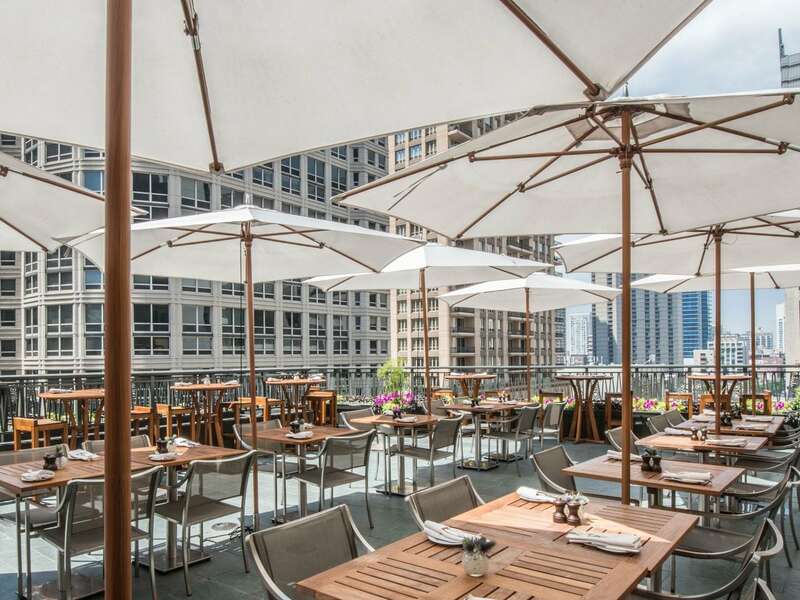 Park Hyatt Chicago’s collection of award-winning dining experiences spans NoMI Kitchen, NoMI Lounge, and NoMI Garden, all named for their iconic location on North Michigan Avenue. No matter where you sit, you’ll be treated to skyline views of Chicago landmarks and impeccable seasonal cuisine inspired by and sourced in the city. Dine at this relaxed, open-kitchen restaurant with a contemporary atmosphere and panoramic views of the Gold Coast and Lake Michigan. 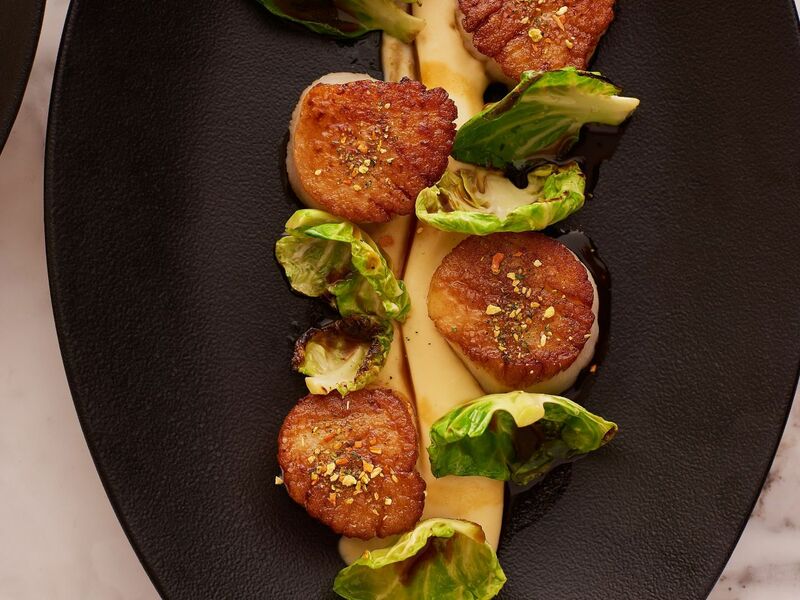 NoMI’s dishes combine seasonally inspired flavors with traditional French technique. Our restaurant also hosts Masters of Food & Wine, a quarterly series of interactive culinary workshops and communal dinners. 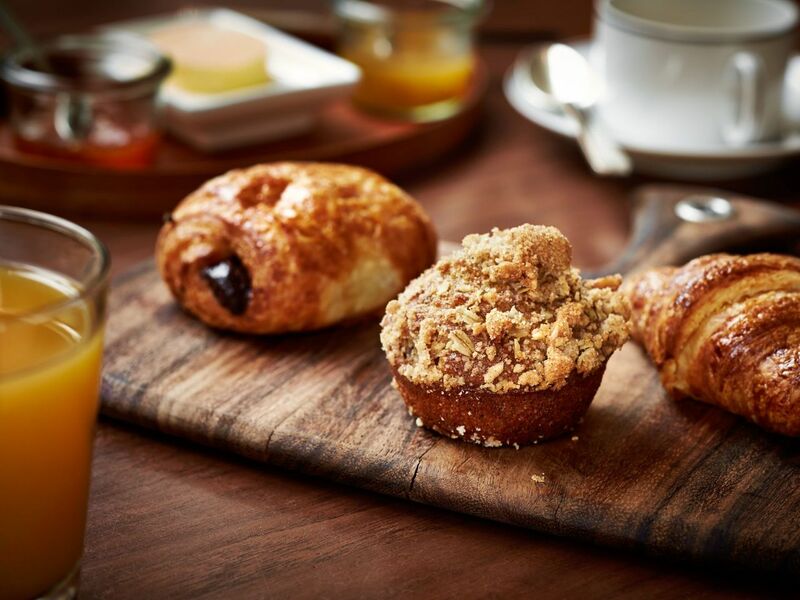 Saturday and Sunday: 7:00–9:00 a.m.
Make yourself at home in the urbane ambience of NoMI Lounge, place to sip, see, and be seen in downtown Chicago. The swanky bar combines stylish surroundings with a relaxed lounge atmosphere. 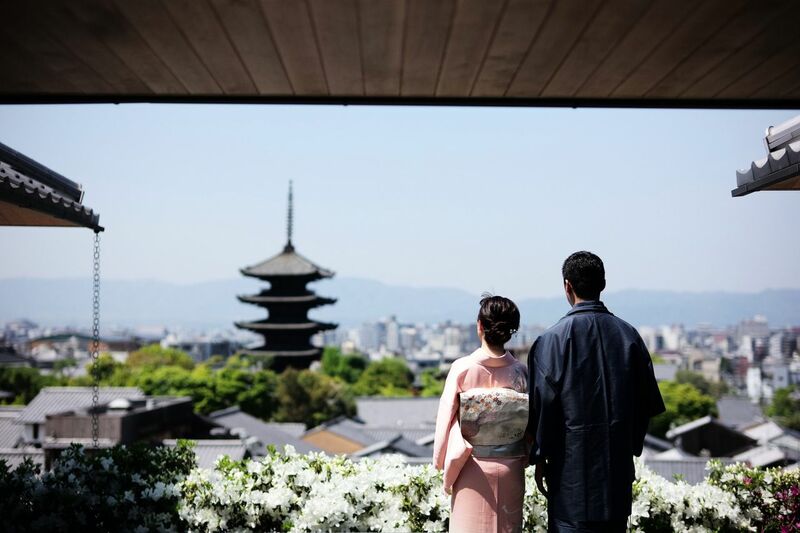 Drink in the inspiring views, plus a cocktail, glass of wine, or beer, or marvel at our hotel’s exceptional art collection. This outdoor rooftop bar is a seasonal sanctuary with thirst-quenching cocktails and inventive lunch and dinner menus, all within sky-high surroundings. NoMI Garden's backdrop includes a 30-foot teak wood bar and granite countertop, allowing for a beautiful alfresco dining experience. Host an event in one of our private dining rooms, each offering breathtaking views and exceptional cuisine from NoMI Kitchen. Host up to 75 guests in unique spaces including dining rooms with views of the Water Tower and a gallery space with impressive works from artists like Dale Chihuly and Matisse. Dine in the comfort of your room with a range of dishes from NoMI Kitchen. From breakfast in bed to dinner for two, our talented culinary team is here to accommodate you, any time of day.